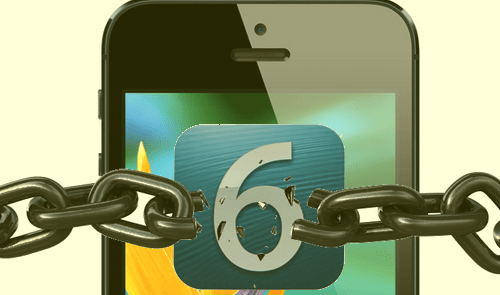 How to Jailbreak iPhone 6 (Plus) with iOS 8? The newly released iPhone 6s/Plus bring us all wonderful features, especially thanks to the more powerful new iOS 9 – which improves Touch ID, processors, camera, 3D Touch, etc. After most of people making a detailed comparison between iPhone 6 Plus and 6s, they still believe that they should find some solutions to jailbreak their iPhone 6 (Plus) because iOS 8 can satisfy their diversified needs and embrace all those cool new features. A typical case is that less than a week since Apple released iOS 8 beta 1 for the developers, Stefan Esser has tweet a photo of his Mac showing SSH into his iPod Touch 5th Generation on iOS 8 beta 1. It is obvious that the iOS 8 jailbreaking is highly demanded. And here in this artcile, you will be informed of all the iPhone 6 (Plus) jailbreak tips here. 1. Though there are one million apps in App Store for all iOS users including iPhone, iPad, iPod and more, these programs are still far from enough. After you jailbreak an iPhone successfully, an application store called Cydia will be shown automatically, which is in fact equal to another Apple's App store. Users can download powerful plug-ins from Cydia to enhance the iOS system user experience including some well-known plug-ins: SBSettings, iFile, WinterBoard, LockInfo and other free Apps for iPhone 6 (Plus). In addition, users can play the cracked games. 2. Jailbreak team on the related conference has stated that the real reason why they do many painstaking research on iOS jailbreak tool is it can therefore serve customer better and break through the limitations from system itself, like change default apps for certain tasks. Actually, they are against piracy App store application. In other words, to jailbreak in iOS is unequivalent to jailbreak piracy. Currently, there aren't any iPhone 6 jailbreak tools as they won't come out until iPhone 6/Plus released. But you should be aware of choosing the one that should be 100% safe, easy to use and has established a high reputation. Then download and install this iOS 8-based iPhone 6 (Plus) jailbreak tool on your Mac according to the different directories. Remember, run it using the administrative settings. The widely known iOS jailbreak tools for iPhone, iPod, iPad include evasin, jailbreakme, Redsn0w, Greenposion and limera1n. Undoubtedly, if you leave the iTunes application up and running on your phone, it will interfere directly with the jailbreaking process, potentially breaking your phone. Certainly, you'd better shut down all the applications on your iPhone 6. Tips: Make sure you have a current backup of your iOS device. This is a crucial step to ensure you don't lose important data should something go wrong and you have to restore. You can back up your file using iPhone Mounter as it helps to backup iPhone 6 (Plus) file to Mac as well as copy iPod/iPad to Mac with simple steps. Connecting iPhone 6 with computer by USB cable, later, you should wait for computer finished the detecting process and then iPhone 6 jailbreak tool initializes all on its own. The new features like higher resolution, bigger screen, faster speed, etc are improved, such that iPhone 6 (Plus) is made even better. Whether you decide to jailbreak iPhone 6 (Plus) or not, how to smoothly stream various HD/SD videos on iPhone 6/6 Plus/5S is always a permanent issue about Apple devices. Fortunately, designed especially for Mac users, MacX Video Converter Pro works very well with regard to solving the video incompatible problems, which will help you freely enjoy HD videos like 4K ultra video on it the same as playing YouTube videos on iPhone 5. It is capable of converting any videos to more than 180 video formats and 14 popular audio formats on Mac OS X (Yosemite included), such as M2TS to MP4, MKV to AVI, WMV to MOV, MKV to MP4, MP4 to MP3, etc with 83X faster speed and no quality loss. Furthermore, it also allows you to download any YouTube videos and transfer them to iPhone 6 to enjoy on the move. 2. Payment：Nowadays, more and more people will pay for bills by mobile phone so that the safety of personal information becomes a very important problem. As we know, iPhone 6 permissions will be completely open after finished jailbreak procedure so that various unaudited applications likely steal account information. 3. Privacy: Except computer, mobile phones now become the second tool for saving personal information. However, the risk of leaking much important information will be increased including photos, memos, SMS and so on. 4. Durability: Some users have done the same test about the last time of battery after the jailbreak. Finally, they found that the non-jailbreak device owns longer battery life than jailbreak device. 5. Stability: Many Apple users are afraid of all information stored on device will be lost when devices crashed. Warm tips: For these users who have no idea about how to jailbreak an iPhone, they had better not easily put your hands on iPhone or iOS devices jailbreak especially for someone without any careful consideration. On the contrary, if you really desire to personalize your iPhone 6 and at the same time, you have certain experience in iPhone jailbreak, then, iOS jailbreak will make you enjoy more.